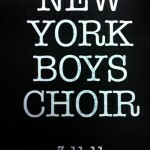 New York Boys Choir Videos: Only on JMR! Enjoy some unique JMR videos: The wildly popular Yitzy Bald’s New York Boys Choir singing their hit songs, Elah, Maaminim and their all new song Jew Joy, in live performances during their Chol Hamoed Succos tour. Composed, arranged and directed by choir leader Yitzy Bald. Please share and like and become a true NYBC fan!